If you see a dialog screen for “Do you want to allow the following program to make changes to this computer?” Click Yes or continue. 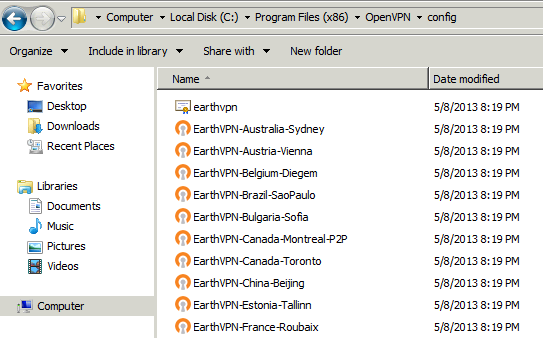 Confirm the destination folder and Click the “Install” button. If you have the following message while installing, press “Install”. Untick Show Readme and Click the “Finish” button. 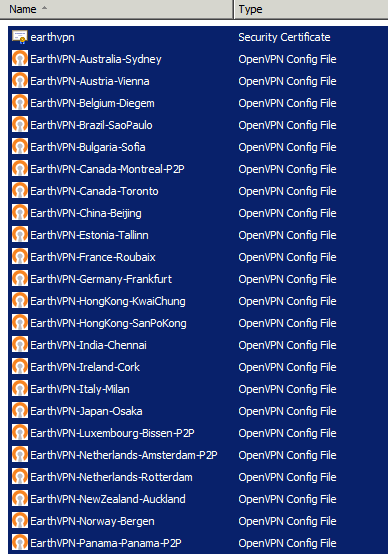 Now go back to directory where EarthVPN-OpenVPN.zip was extracted.You will see the Protocol-Port Directories as shown on the image below.Click the desired port-protocol directory.If that protocol port is blocked on your network you can choose the others and try.We suggest to use OpenVPN UDP ports for connecting to servers which are on other continents(Ping latency over 100ms). 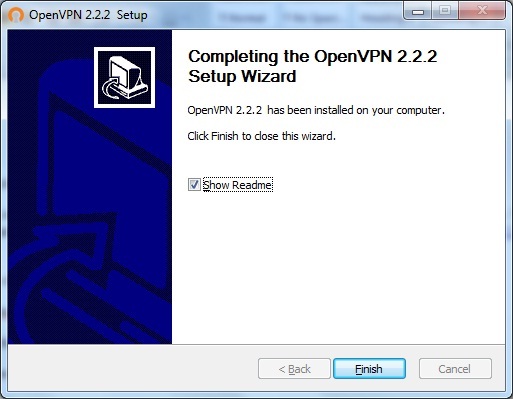 Now, in the toolbar, you should see a symbol for OpenVPN (two red screens). 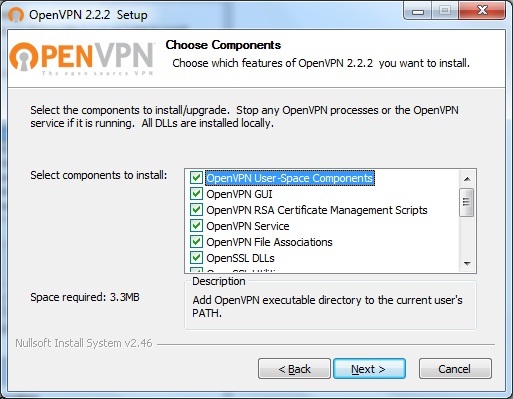 You should also have an OpenVPN GUI icon on your desktop.Find the OpenVPN GUI icon on your desktop, right-click on it, and choose Properties from the context menu Click on Change settings for all users. 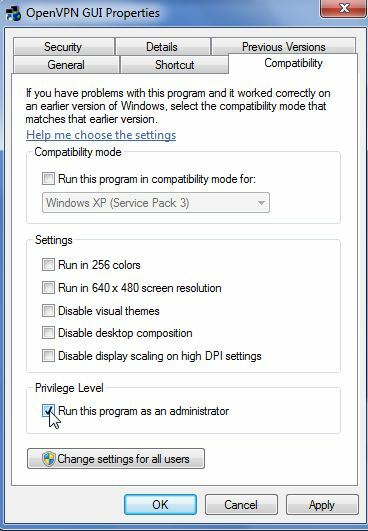 In the Compability Window , check Run this program as an administrator. 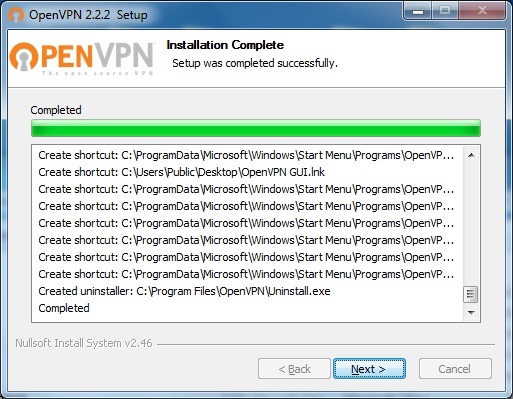 Right click on the OpenVPN GUI icon(two red screens) in the taskbar and choose exit to close OpenVPN GUI to run again as administrator. 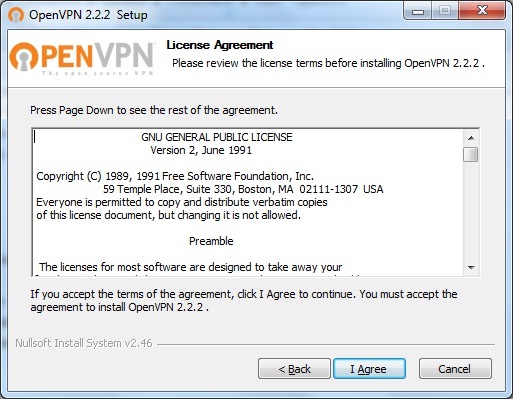 Find the OpenVPN GUI icon on your desktop and double-click it to launch OpenVPN or right click on the OpenVPN GUI icon in the taskbar tray. 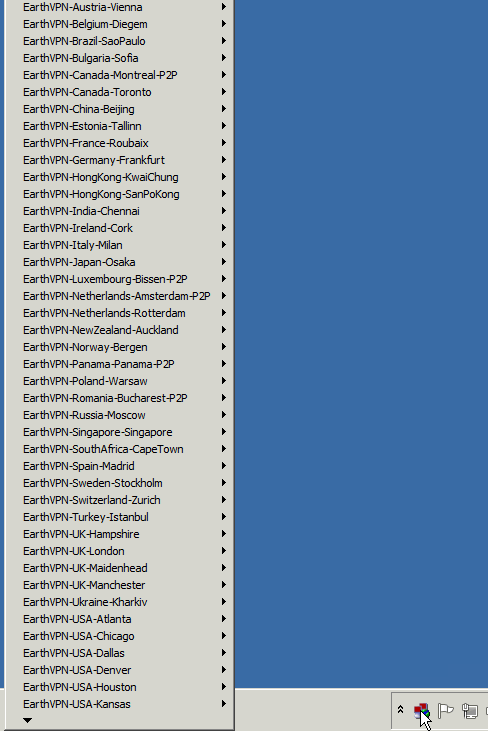 Enter your EarthVPN Username and Password when prompted and click OK. Please note that current OpenVPN Gui does not support more than 50 configs connections and you may notice an dialog about this.Please delete the config files which you do not have intend to connect from the config directory. To disconnect, just right click on the OpenVPN server you were connected and select Disconnect.